Instagram allegedly provides a head start to the so-called Islamic State supporters to promote their messages, as pointed out by a recent research. Around 50 thousand so-called Islamic State backers ride on the coattails of Instagram Stories that disappear 24 hours after being published. Andrea Stroppa, who is a part of software analysis team named Ghost Data, asserted that at least 10,000 of these Instagram accounts are strongly linked to ISIS. 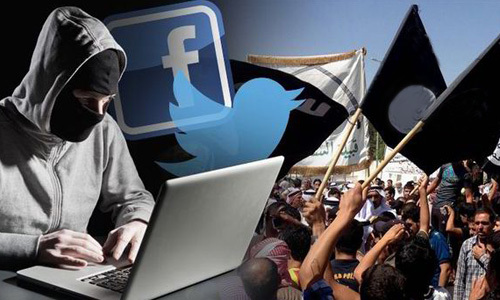 The researcher revealed that almost 30 percent of the overall content of these accounts relates to the ISIS ranging from the images of the distinguishable IS black flag to bloody photos showing how ISIS treats traitors. They communicate their message through Instagram Stories because they know it would automatically get disappeared after a specified time. They are well-aware that this platform is innocuous for sharing information and spreading propaganda. Another report asserts that the terror group is using ephemeral tools to recruit new militants. However, Instagram released a statement narrating that it prohibits terrorist content and has a specialized team to halt the spread of such content. They said there is no place on Instagram for terrorists, terrorist propaganda and the flattering of terror activity, and they remove such content and account as soon as they know about it. Are Instagram, Facebook, Twitter and Telegram Terror Propagator? It is not just Instagram that has been reported for facilitating the spread of terrorist propaganda but Telegram also remains the app of choice for Islamic State’s propaganda units. Likewise Instagram, Telegram also offers self-destructive messages that get deleted from the sending and receiving device after a set period of time. The popular social networking sites and search engine Facebook, Twitter and Google are also accused of supporting terrorist propaganda. Families of three victims of the San Bernardino’s shooting rampage in December 2015 filed a lawsuit against Facebook, Google, and Twitter a few months back arguing that the social networking platforms provided material support to the terror groups. Why is Social media the Choice of ISIS? Like many other organizations, ISIS has got to grips with the social media. The companies use the social networking platforms to market their products and encourage people to use their brand, and ISIS is not doing anything dissimilar. They aim to gain more support and followers from all around the world and this is only possible with the social media and internet. They use professional videos, graphics, and ads to persuade individuals to join them. The tech-savvy terrorists, born and raised in the era of mobile phone technologies and social media, are challenging private and public sectors to stop them from diffusing propaganda. Despite the adoption of measures that shut down the social media accounts which share terror content and support any terror activity, ISIS backers have maintained their social media presence. Facebook, Twitter, and YouTube have been working hard to remove such content from their platform but it is undoubtedly a daunting task. How Teens Get Trapped on Social Media? Teenagers love socializing and probably that’s because they dedicate most of their waking hours to social media and Instant Messaging apps. The more they remain online, the more their odds are of being exposed to the propaganda of the terrorists. Joining violent, daring and extreme group is nothing new for teens. We often hear about adolescents who just get disappeared one day and their families have them reappearing on some video as a full-fledged member of the ISIS. Regrettably, many youngsters suppose it to be the coolest idea to leave their families, fly to Istanbul and tackle a long trek to Syria to join ISIS. 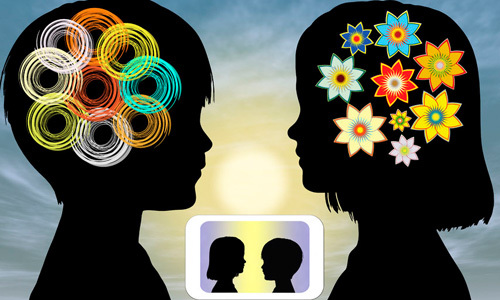 Teens want to develop their identity on a social level. When they fail to develop a healthy sense of identity, they may choose a short-cut on the quest of identity by joining a group that can provide them a distinctive sense of being significant and incomparable. The lack of meaningful options for their future makes them look for their desired things in wrong places like Syria or Iraq. It is effortless for a terror group to brainwash your teen luring him of a meaningful, adventurous and unsurpassed life. The responsibility lies on parents to provide meaningful options to their children for upcoming future and help them create a healthy sense of identity. There is no ambiguity that social media is the most powerful tool of ISIS to disseminate their message and trap adolescents around the world. Though various organizations and social networking sites are consistently working to keep terrorist groups away from their platform, we should also make an effort to protect our children from these crooks. TheOneSpy cell phone spy app can provide great support in this regard. It allows monitoring the social media and instant messaging apps including Instagram, Facebook, Telegram, Snapchat, WhatsApp, Kik and many others. You can closely watch out the activities of your kids on social media reading their individual and group conversations, viewing their friends and followers list, and seeing their posts. These things will help you know what your kid is taking interesting in; what type of activities he performs with his peers and who is influencing or luring him. In short, if any terrorist or an individual having wrong intentions approaches your child on social media, you will get to know about it and could take precautionary measures promptly. Previous post Deadly Blue Whale Game Continues Engulfing kids and teens: Alarming sign for parents Next post The Negative Impact of Augmented Reality Games on Teens: What to do?